Scott J. Casagrande has been Director of Bands at John Hersey High School in Arlington Heights, IL since 1999. He was previously Director of Bands at Plainfield High School in Plainfield, IL and Stephen Decatur High School in Decatur, IL. A native of Fairfax County, VA, Mr. Casagrande received his B.S. and M.S. in Music Education from the University of Illinois at Champaign-Urbana. Ensembles under Mr. Casagrande’s direction have been selected to perform at the Midwest International Band and Orchestra Clinic (concert and jazz), 19 of the last 20 Illinois Superstate Concert Band Festivals (Honor Band three times) and four National Concert Band Festivals. His bands have been consistent winners in all marching and jazz contests including the Governor’s Cup and Field Show Champion at the University of Illinois Marching Festival (45+ bands), Grand Champion at Jazz in the Meadows (90+ bands) and Honor Band at the Purdue Jazz Festival (90+ bands). In 2007, the John Hersey band program was awarded the prestigious Sudler Flag of Honor from the John Philip Sousa Foundation. His ensembles have performed at the French Reeds Festival in the French Riviera, in the Chicago Jazz Festival, at Chicago’s Jazz Showcase, at Orchestra Hall in the Chicago Symphony Center (three times) and at Carnegie Hall in NYC (two times). This winter the John Hersey Symphonic Band was selected to perform at the College Band Directors National Association North Central Division Conference. Mr. Casagrande has received 20 Citation of Excellence Awards from the National Band Association, and he has been recognized by Former President Barack Obama, the US Senate, the US House of Representatives, the Illinois Senate, School District 214, Plainfield HS, Stephen Decatur HS, Illinois Chapter of Phi Beta Mu Band Fraternity (2016-2017 Bandmaster of the Year), Quinlan and Fabish Music and Bob Rogers Travel. Mr. Casagrande has the privilege of currently serving the National Band Association as President and has served the NBA as 2nd Vice-President, First Vice-President, High School Representative (twice) and as a member of the Revelli Composition Contest Committee. In 2004, he was one of three conductors in the United States chosen to participate in the NBA International Conducting Symposium in Rome, Italy, conducting the Italian National Army Band. He serves Music for All/Bands of America as a Music Education Consultant and he has served three terms as the Illinois Music Education Association District 7 Jazz Representative. Mr. Casagrande was inducted into the prestigious American Bandmasters Association in 2009. He has been published in The Instrumentalist and the National Band Association Journal. Students in the John Hersey program are very active in IMEA All-District and All-State bands and most Hersey band graduates continue to perform in their college ensembles and beyond. Mr. Casagrande lives in Arlington Heights with his wife, Janice and daughters Mary and Julia. Mr. Beckwith served as Director of Bands at Warren Township High School in Gurnee, Illinois from 1977 until his retirement in 2007. He received his Bachelor’s degree from MacMurray College, his Master’s from the University of Illinois and has done post-graduate work at the University of Illinois and VanderCook College of Music. 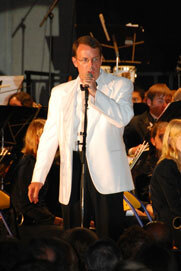 Under his direction, Warren Bands have performed at the Midwest International Band and Orchestra Clinic, the National Concert Band Festival, the International Association of Jazz Educators Conference, the Monterey Jazz Festival, University of Illinois Superstate Honor Band, and the Illinois Music Educators Association State Conference. Mr. Beckwith has served as conductor for the Illinois All-State Jazz Band, several All-District Bands, University of Illinois Summer Youth Concert Band, Birch Creek Music Academy, and is in demand throughout the Midwest as a clinician and adjudicator. Honorary memberships include Phi Beta Mu, ASBDA, Who’s Who In American Education, and nomination for the prestigious “Golden Apple” award for excellence in education. Other honors include selection as the Warren Teacher of the Month, his seventh National Band Association Citation for Excellence, and selection as Chicagoland Outstanding Music Educator. In 2003, Mr. Beckwith was one of two high school directors in Illinois selected by the Illinois Music Educators Association to present the symposium “Meet the Masters” at the Illinois All State Music Conference for all the high school band directors in the State of Illinois. In 2004 he appeared on ABC 7 News honoring his teaching excellence. 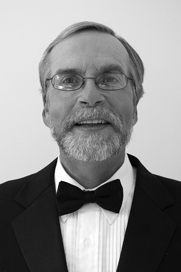 Mr. Beckwith was nominated for membership in the prestigious American Bandmasters Association in 2005. He has been selected for “Who’s Who In Education” on four separate occasions. He has served as an Illinois Music Educators Association District and State Chairperson, the Advisory Board of the Illinois Unit of the International Association of Jazz Educators, the Illinois High School Association Music Executive Board. Professional memberships include the Music Educators National Conference, International Association of Jazz Educators and the Illinois Music Educators Association. Currently, Mr. Beckwith is teaching part time with Hersey High School bands and Northern Illinois University Music Education Department. He resides in Wadsworth, Illinois with his wife Jo and two sons, Andrew and Daniel.